Jordan warned on Wednesday that a severe financial shortfall facing a United Nations agency that helps Palestinian refugees could have a “catastrophic” impact on the lives of millions of refugees in the region. 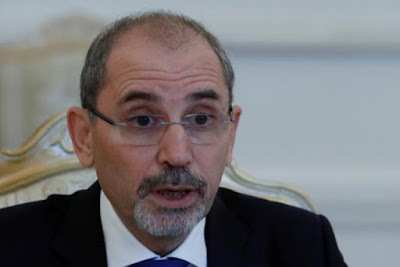 Foreign Minister Ayman Safadi said after meeting visiting U.N. Relief and Works Agency (UNRWA) Commissioner-General Pierre Krähenbühl the budget crisis facing the agency could deprive refugees of core education, healthcare and food security service that would only “deepen their humanitarian plight”. The largest ever reduction in UNRWA’s funding has cast doubts about the agency’s’ long term outlook and has already begun to impact some services. U.N. officials have said it could even affect the opening of schools at the start of the next academic year. The agency operates around 700 schools, educating 500,000 refugee children in Gaza, the West Bank, Lebanon, Syria and Jordan. Jordan, which hosts the largest number of Palestinian refugees in the Middle East outside Palestinian territories, was engaged in intensive lobbying with donors, Safadi said. According to diplomats, the plan diverges from longstanding U.S. support for a Palestinian state and backing for a full Israeli withdrawal from territory captured in 1967. Safadi said the international community must continue to shoulder its political and moral responsibilities toward Palestinian refugees under U.N. Security Council resolutions that maintain their right of return and compensation. Founded in 1949, UNRWA serves Palestinian refugees in the Israeli-occupied West Bank, in Gaza, Syria, Lebanon and Jordan. It is funded mainly by voluntary contributions from U.N. member states.